THE WOMEN’S WATERFALL RAGLAN IS HERE! 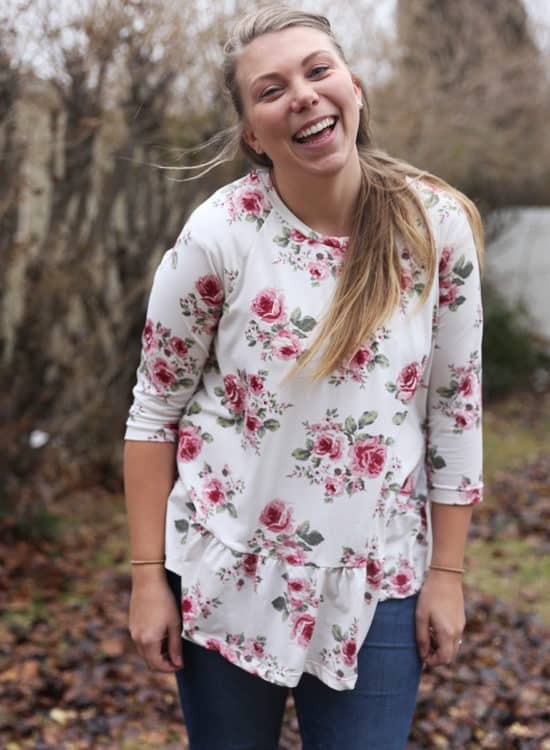 I’m pretty excited to be releasing my first Women’s pattern. After the release of the Girls’ Waterfall Raglan in November I received a lot of requests for the women’s version, so I went for it. I made several during pre-testing and I reach for them all the time. 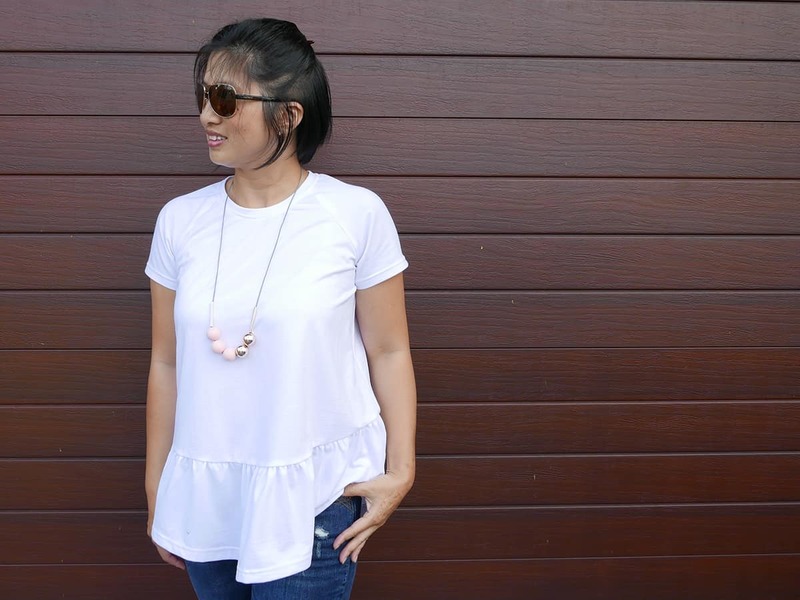 They are really easy to wear dressed up or down but I always feel really comfortable and stylish at the same time. I hope it’s the same for you, that you enjoy making this pattern time after time and feel really great while wearing it. 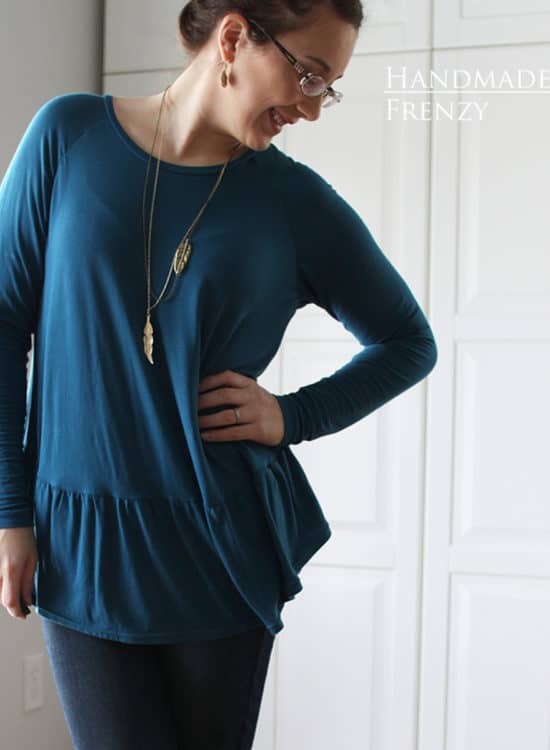 GRAB YOUR COPY OF THE WATERFALL RAGLAN WHILE IT’S ON SALE THROUGH MONDAY, JANUARY 16TH. 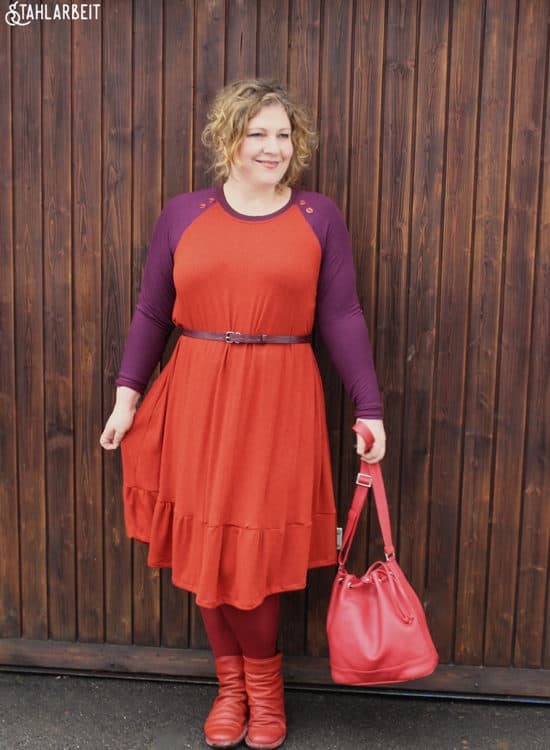 You can find the Waterfall Raglan exclusively on UpCraft Club today and tomorrow – HERE! I love partnering with UpCraft Club during my releases, they have always been so supportive and I love having my patterns in such great company on their site. 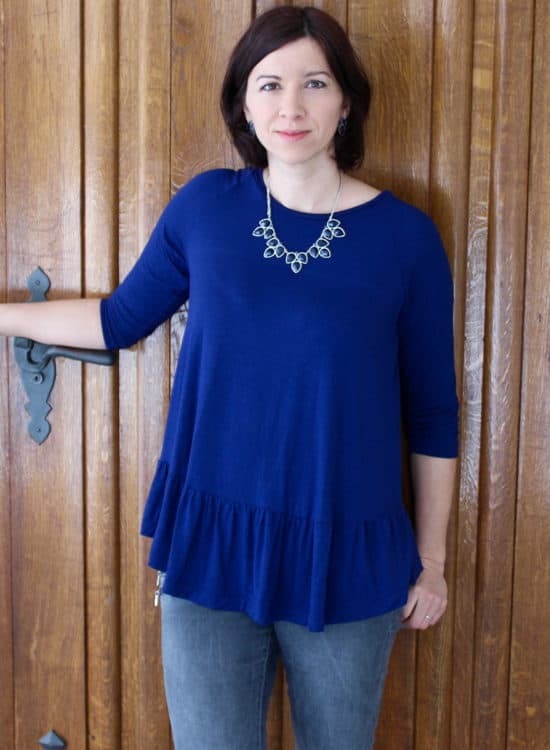 If you haven’t heard, UpCraft Club is THE place to find awesome digital pdf sewing patterns. 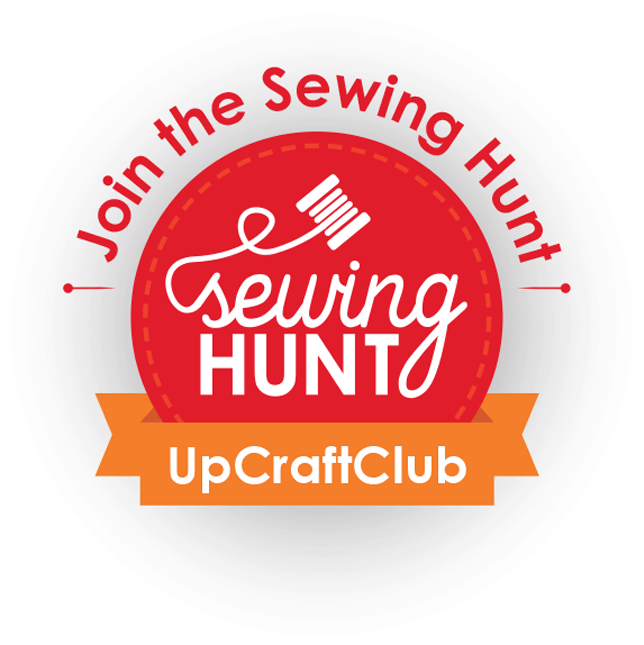 UpCraft Club is hosting a really fun online scavenger hunt starting next week. Make sure you check out all of the details on their site HERE and sign up for The Sewing Hunt, it’s FREE and you have a chance to win loads of great prizes. 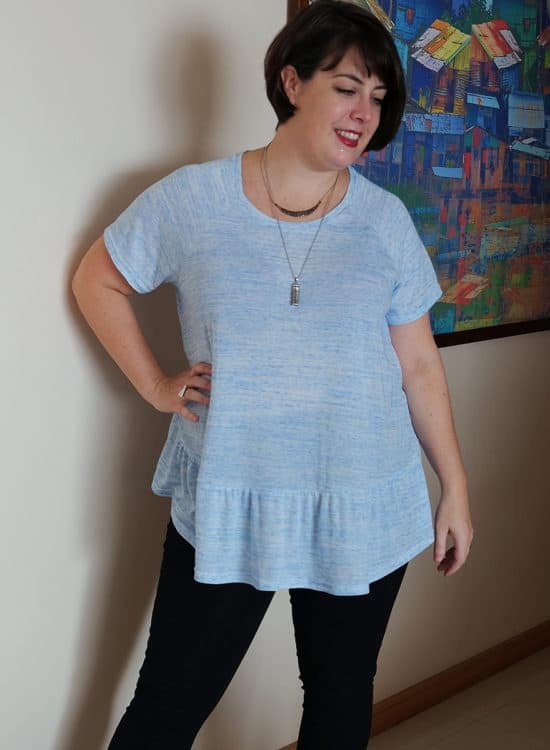 Okay, back to the Women’s Waterfall Raglan…I designed this pattern to be loose through the body and balanced the oversized fit with a slim sleeve. 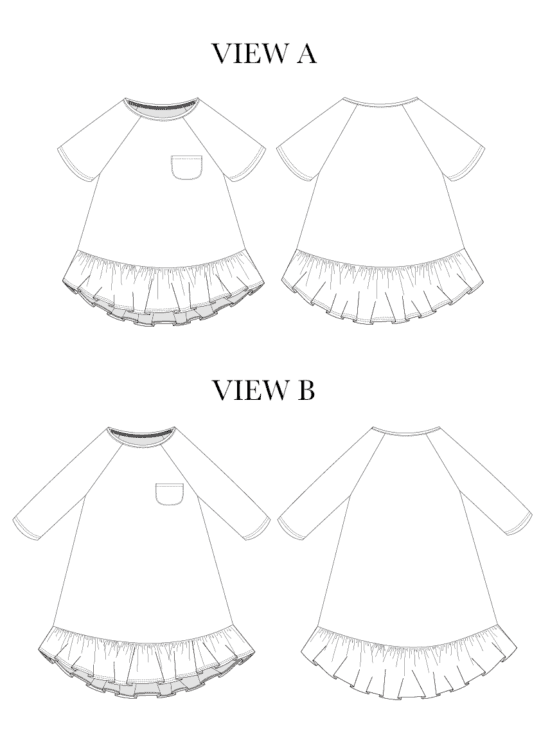 If you prefer a more fitted bodice you can easily size down with the amount of ease that is included in the pattern. 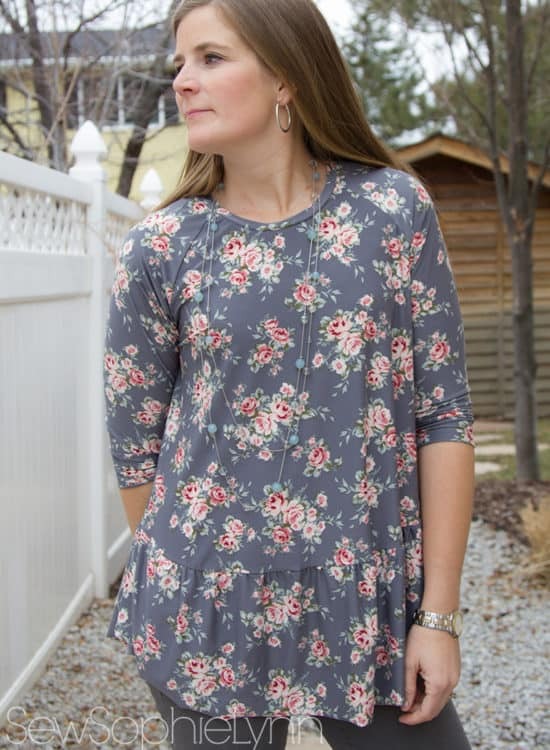 The pattern is listed as: ADVANCED BEGINNER sewing level and I consider it a pretty quick sew. 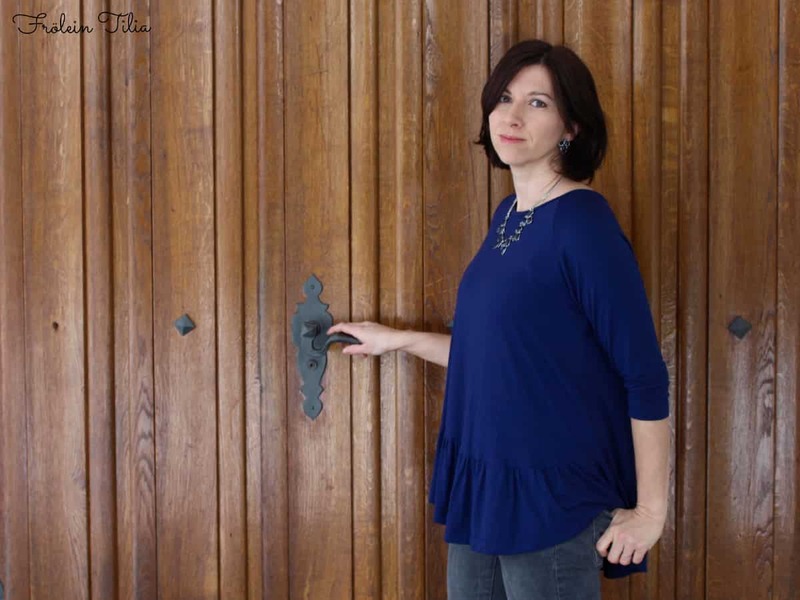 If you are new to knits, this is a good knit pattern to try since raglan sleeves are easy to set. 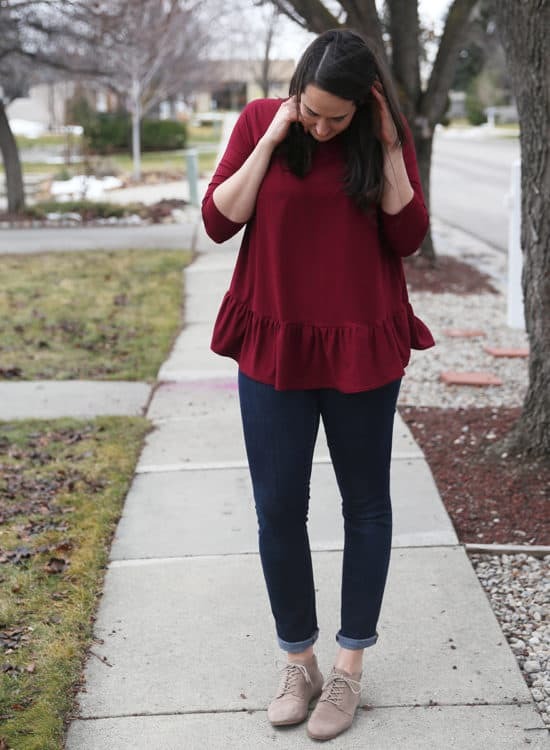 To help achieve the perfect neckband, I have included 2 neckband options for each size and a knit stretch guide along with custom adjustments. There are detailed step-by-step illustrated instructions to help you along the way and if you’d like more help, the Chalk and Notch Patterns Facebook Group is a great place to get support. 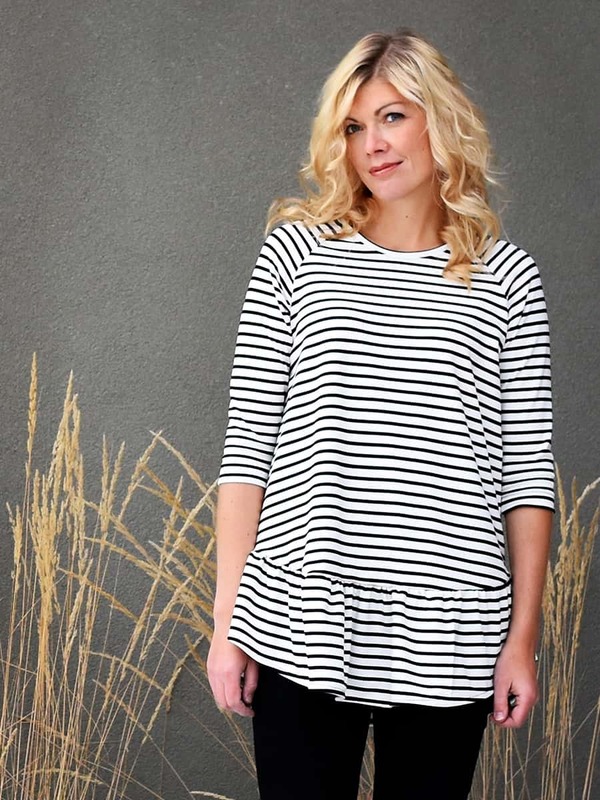 The Waterfall Raglan pattern offers both a Top and Dress view with 3 sleeve lengths and an optional pocket. 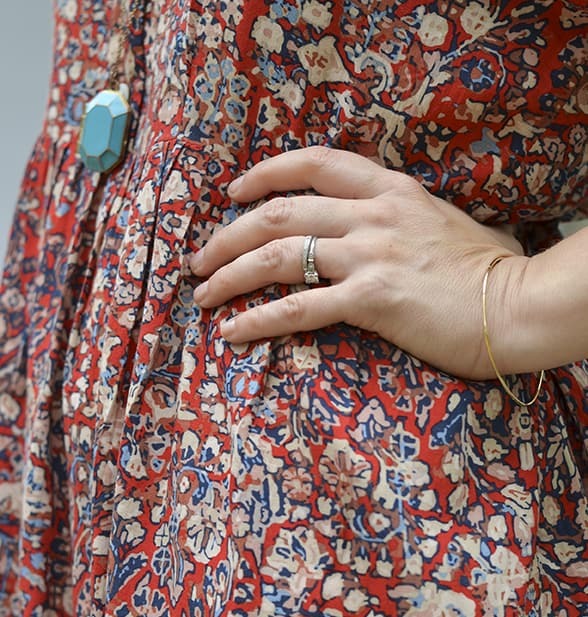 This pattern works as a casual everyday top, a party dress or anything in-between. I’ve sewn up so many Waterfalls and they all have a different vibe based on the fabric used. 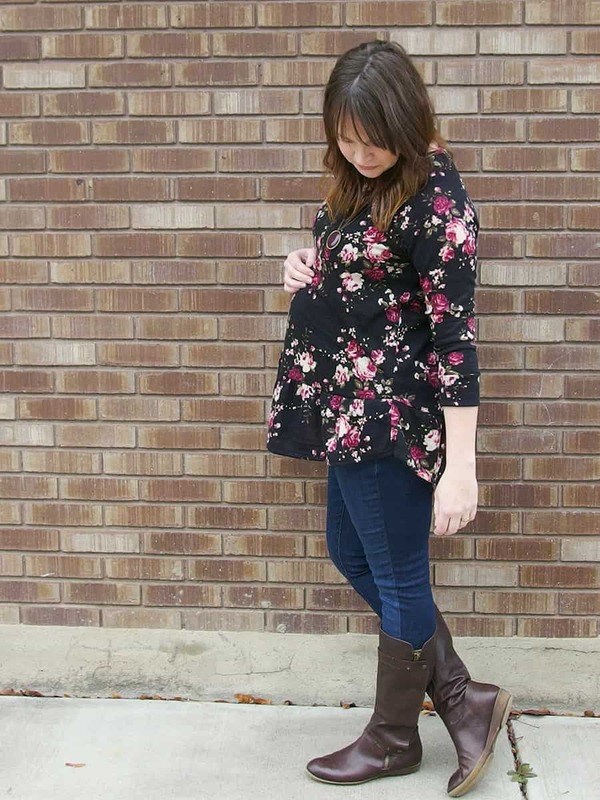 This pattern can also be easily modified to create different styles and even works as a maternity option! I’m looking forward to showing you some possibilities soon. A few recommended fabrics are: Cotton Jersey, Cotton Lycra or Spandex blends, Rayon French Terry, Rayon Jersey and Stretch Velvet. If you’d like a little more inspiration, check out these lovely Waterfall Raglans created by some of my gorgeous testers. They are from all over the world, generous, talented and I feel really lucky that they helped me bring this pattern to you. You can click on each image to check out their blog or Instagram feed. I have many more versions to share, I will be back this week with more posts and tester photos. I’d love to see what you come up with, so if you share your makes, tag @chalkandnotch and use the hashtags #waterfallraglan #chalkandnotchpatterns so I can see your creations. 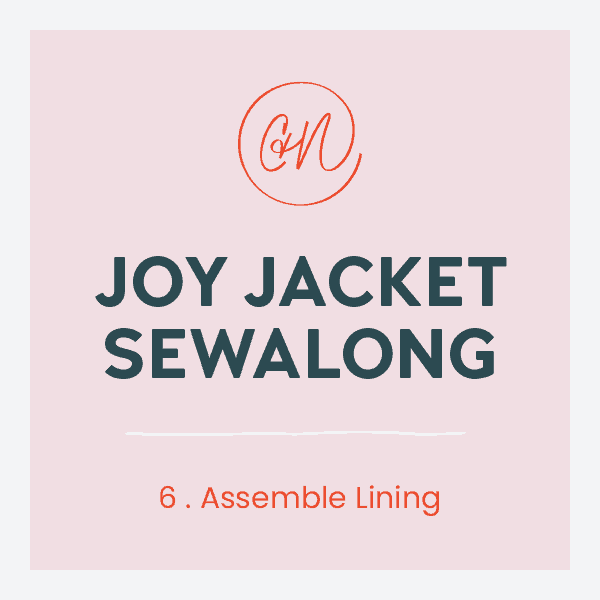 If you need any sewing help or have questions please feel free to email me or join the Chalk and Notch Facebook group – I’m always happy to help. You can also follow Chalk and Notch on Instagram HERE. Hooray- congratulations on your pattern release! !